Offering you a complete choice of products which include drill bushes, drill jig bush and jig bushes liner bushes. We are offering Drill Bushes to our clients. Be it a plain jig bush, headed bushes, renewable bushes, liner bushes, location bushes, anchor bushes or serrated bushes. Boneham & Turner have the combination of Drill Jig Bush to meet your requirement. With the largest stocks of standard drill bushes in the UK. Both metric and imperial sizes are available. Manufactured to BS, ISO, and DIN standards. 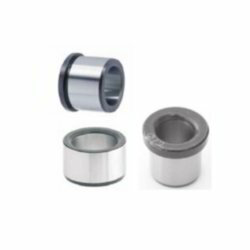 Our domain expertise has enabled us to offer an excellent collection of Jig Bushings Liner. Used in various engineering industries, offered product is designed from top notch material as per the quality norms under the supervision of experts. Our product is examined on several quality parameters so as to dispatch a quality range. Also, this product has gained a huge demand in the market for its excellent quality.